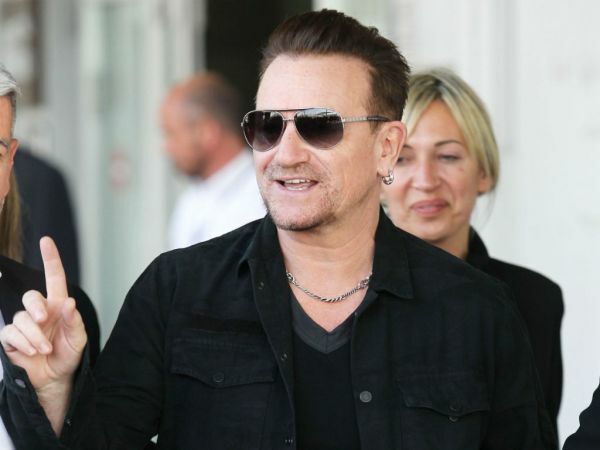 Bono has undergone surgery to repair multiple fractures following his cycling accident. The U2 frontman took a hard spill in New York City’s Central Park Sunday and was transported to Presbyterian/Weill Cornell Medical Center. Dr. Dean Lorich on Wednesday told UK newspaper The Mirror the rocker needed reconstructive surgery after suffering fractures to his face, shoulder and arm. The surgeon explained Bono was attempting to avoid another cyclist when the “high-energy bicycle accident” occurred and left a bone “tearing through his skin”. “He was taken emergently to the operating room where the elbow was washed out and debrided,” the doctor said, adding that the musician suffered a “facial fracture involving the orbit of his eye” and three fractures to his left shoulder blade. “A nerve trapped in the break was moved and the bone was repaired with three metal plates and 18 screws," he said. The musician will need intensive therapy, although a full recovery is expected, reports BBC News. U2 had to cancel a week-long residency on Jimmy Fallon’s US programme The Tonight Show as a result of the incident, which followed just weeks after Bono allegedly “cheated death” when a door of a plane he was travelling in fell off mid-air, The Mirror reports. The singer was in a Learjet 60 D-CGEO with four friends who apparently didn't realise a bang they heard was part of the plane tumbling to the ground while en route to the Bambi Awards in Berlin. "He was extremely lucky, the plane could have gone down. About an hour into the journey they heard a big thud coming from the rear of the plane. They were startled for a bit but they continued on and made the descent into Berlin airport. When they landed they were horrified to learn that the compartment at the rear of the plane had completely detached," an insider told the Irish Daily Mail. The newspaper reports that German authorities confirmed the plane was damaged when it touched down, and that the issues arose while it was in the air.